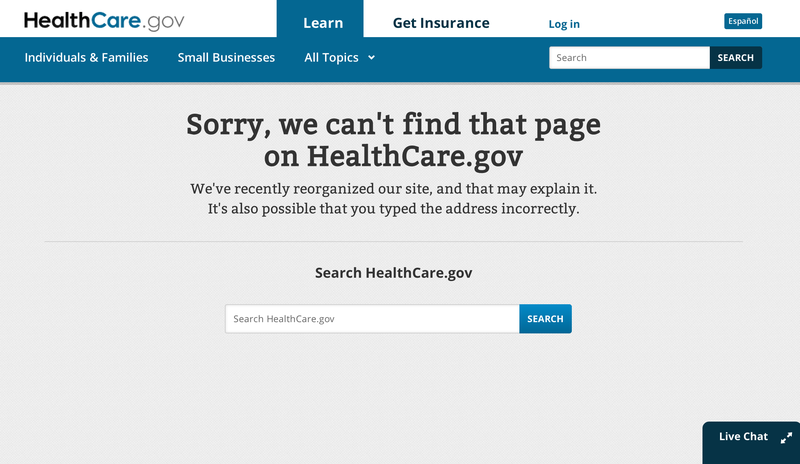 Ever since HealthCare.gov launched all I’ve been hearing about is how horrible the experience is. It never affected me directly, so I chalked it to a few vocal detractors trying to sway public opinion. I even went so far as to go to HealthCare.gov and use the logged-out experience to compare some plans. It looked pretty good actually, and I tweeted as such. That was all about to change though. I recently made the move to work at a small startup that doesn’t yet have an employer-sponsored health plan. They do however offer a stipend of sorts to help you pay for insurance costs on HealthCare.gov. And with that, my journey began. After discussing the healthcare situation with my wife, I ran the numbers and decided that it would be best for her to use her employer-sponsored healthcare and for me to use the exchange separately. At this point everything went as well as it could. 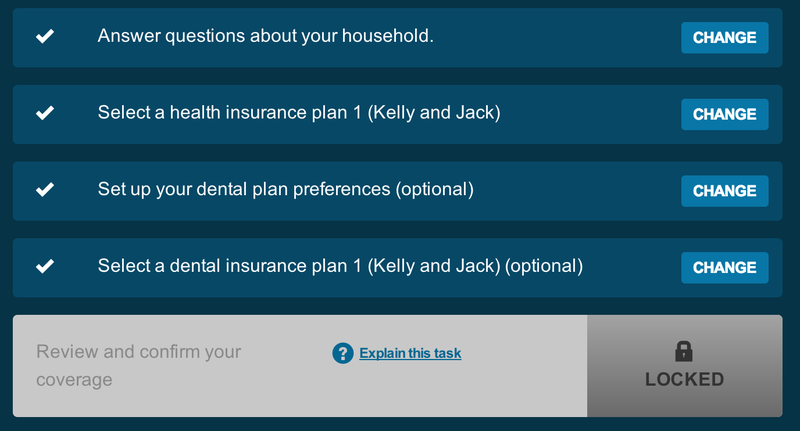 Even though the UX on HealthCare.gov is pretty bad, I was able to figure out how to fill out an application, select health coverage, select dental coverage, and get things rolling. This all happened before December 23rd, which means I’d be getting coverage by January 1st! All was well… until I had to make a change. As it turns out, I math’d wrong. When I was calculating the cost of healthcare for my wife at her job, I was off by something like $200 per month, which pushed her healthcare costs well into the “unreasonable for what I’m going to receive” range. With that in mind, I thought I could make a quick change on HealthCare.gov to get her on the same plan that I was. Boy was I wrong. Thats right, my application is locked. It doesn’t give any reason, which is especially confusing considering that I was asked to re-authenticate. But there is a little link that can “explain this task”, so I click it, and it naturally didn’t work. At this point, I was beginning to realize that I would need to contact their support to get things resolved. The first time I tried to use support, I clicked the helpful little “Live Chat” button. I then proceeded to wait for 25 minutes with no response. This was over the holidays, so I gave it another try after Christmas. This time I was connected to somebody, but no matter what question I asked I was given a canned response to contact the call center. My question is: Why have the “Live Chat” at all if you’re just going to tell me to contact the call center? It’s ridiculous and a waste of my time. After my initial experience with HealthCare.gov, I’m not really excited to contact the call center. I honestly don’t have a ton of time to do it, and given the number of people that will be signing up for healthcare I’m sure the wait will be long. My likely next steps will be to cancel what remains of my application and start over. If it doesn’t work this time, then I’m going to cancel that application and contact my insurance provider of choice directly. In my case thats Blue Cross Blue Shield of Michigan, which happens to have a walk-in office about a block from where I work. I create things all the time on the web. Its my chosen profession, so I know how hard it can be to make a good website when you need to integrate with a lot of different 3rd parties. However this sort of experience isn’t going to cut it. If I’m federally mandated to have health insurance, then the experience should be as painless as possible. Because the system is broke I won’t have health coverage until February 1st now; a month long gap in coverage for my family. This just isn’t acceptable.